5.0 out of 5 starsTragic, moving, and yet strangely uplifting. I finished this novel a while ago, and it, unlike the shelf-full of other books I've read in the last few months, has stuck with me. The tale in and of itself is haunting enough to flit into mind at odd moments of introspection, but it also grips my thoughts as I read the news and hear the tragedies of the world. We live in a world of errors, too often caught in a cycle of benign choices gone wrong. We see all around the effects that our complacency and denial yield, and yet we find ways to excuse our omissions and forgive our lapses. We believe our choices are more appropriate than interference, that honoring privacy and tolerating different perspectives exonerate our silence. We step up enough to provide moral support through the crises and tacit understanding of the complexities each human heart must undergo to make progress despite life's challenges. And we end up, like Phillip and Anna, surprised when our imagined reality proves inadequate. Melinda's story is convincing, the evolution of the tragedy poignant, the characters engaging, and the ending is both unexpected and logical. It left me pondering. Months later, I'm still mesmerized by the power. I think the take away that keeps me coming back is the thought that no matter how flawed our choices have been, we always, always have the chance to make one more final redeeming decision. The story follows Phil and Anna and their friend, Brian from college through their professional lives and the tragedies that await them. The book is dark, but not graphic, beautifully written, and instantly engaging. The book opens with a suspenseful hook: Phil is in prison awaiting sentencing for the murder of his wife. Phil and Anna's lives, and the depths of Brian's involvement in them, are all gradually revealed in the ensuing chapters, with the uncovering of dark secrets each of these deep and multi-layered characters has kept hidden. The chapters alternate between past and present and are easy to follow. Blessed Are The Wholly Broken is an excellent book. 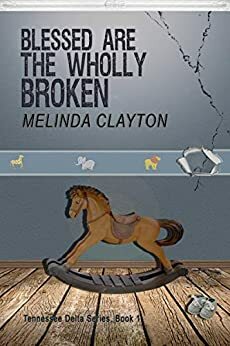 Let's jump right past fancy reviewer sentences, and into the adjectives: "Blessed Are the Wholly Broken" is beautiful, powerful, evocative, engrossing, complicated, sensitive, sad, and poignant. Clayton's ability to climb deep inside her characters' heads, to bring them fully to life and guide them through emotional gauntlets, continues to amaze me. "Blessed" stands alone beside the author's delightful Cedar Hollow Series, sharing only a cryptic reference to some "bad seeds" that may or may not reside near Crutcher Mountain. This is a novel worthy of literary awards, not to mention the full marketing might of a Big 6 publisher (anyone listening?). I've read it twice now, months apart, and will likely read it again next year. If you haven't read "Blessed Are the Wholly Broken" at least once, please don't hesitate. Highly recommended, without reservation. First, I read this book for the title alone. I think 'Blessed Are the Wholly Broken' is one of my absolute favorite book titles ever. Second, the book itself is fantastic. 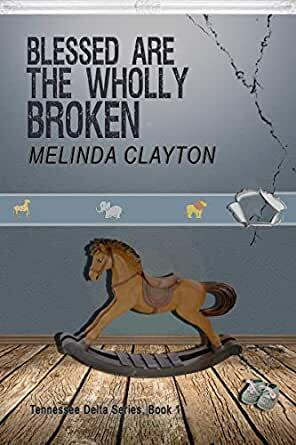 A somber look into a broken man's memories as he tells the story of how his family and entire world fell apart, the novel takes readers on a dark venture into the pain of broken hearts. Make no mistake, this is a very melancholy read. However, it is beautifully written, and by the end you can't help but feel pain for the characters. A well-written story that I really enjoyed! I never saw any part of the story coming so it was always suspenseful. I will read more by this author, especially because she knows how to use the English language and grammar! That is very important to me, so kudos to Ms. Clayton for that as much as for a good book.